Do you love Asian flavors? Do you also love meatballs? 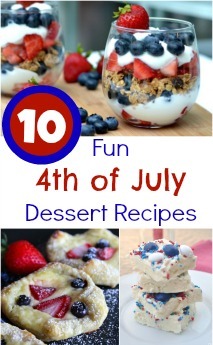 If you answered yes to both of these questions, then you are going to LOVE this recipe. I usually stick to the usual BBQ meatballs (which I happened to make last night), but a few weeks ago I was really wanting to try some different flavors. 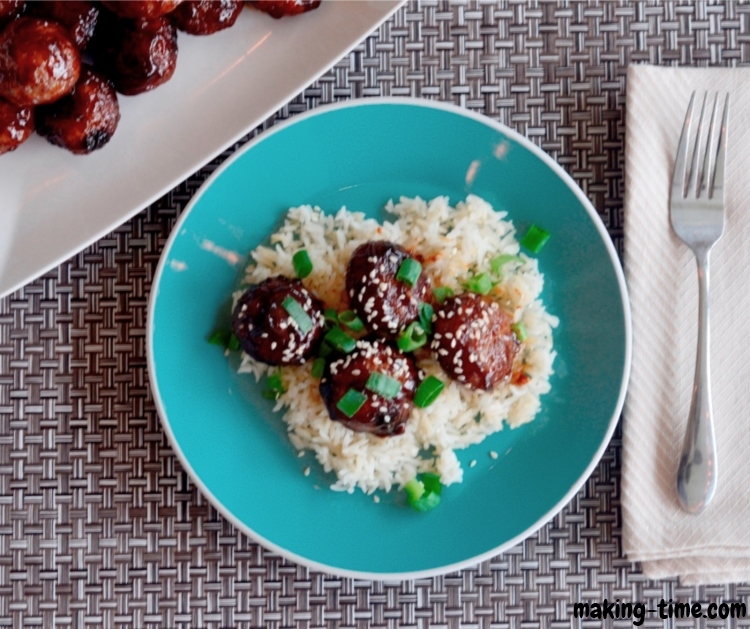 Hence, the birth of these delicious Asian Glazed Meatballs. One thing that is a must for meatballs, is a truly thick and glossy sauce. There’s nothing I hate worse than watery sauces. So when I started thinking about how I could incorporate Asian flavors into a meatball sauce, I immediately thought of things like hoison sauce because it’s thick, Sriracha because of the spicy kick, rice vinegar for a little tanginess, and ginger because, well nothing says Asian like a little ginger. These, along with few other ingredients, make the sauce nice and thick, and amazingly flavorful. 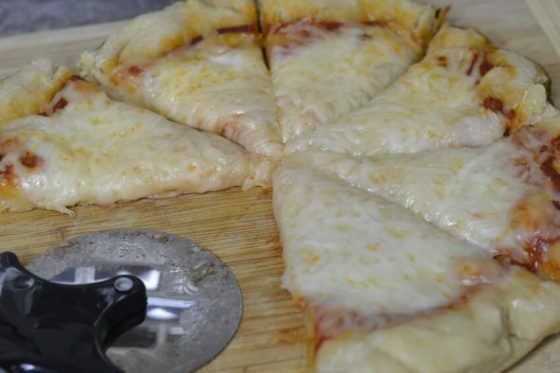 Aside from taste, the best part about this recipe is that it’s quick and easy. 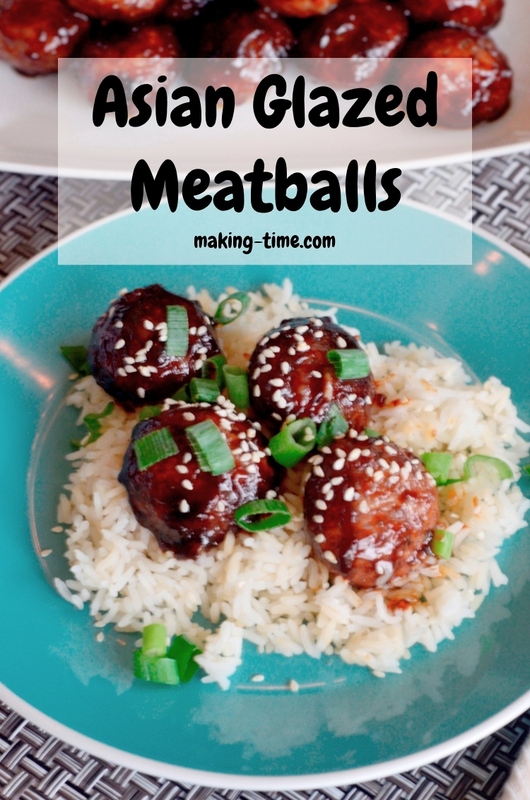 It works great with fresh or frozen meatballs, so if you have a bag of frozen meatballs in the freezer and it’s been a busy day, 20 minutes and you’ll have this dish on the table. It’s as easy as combining all of the ingredients and letting them cook. 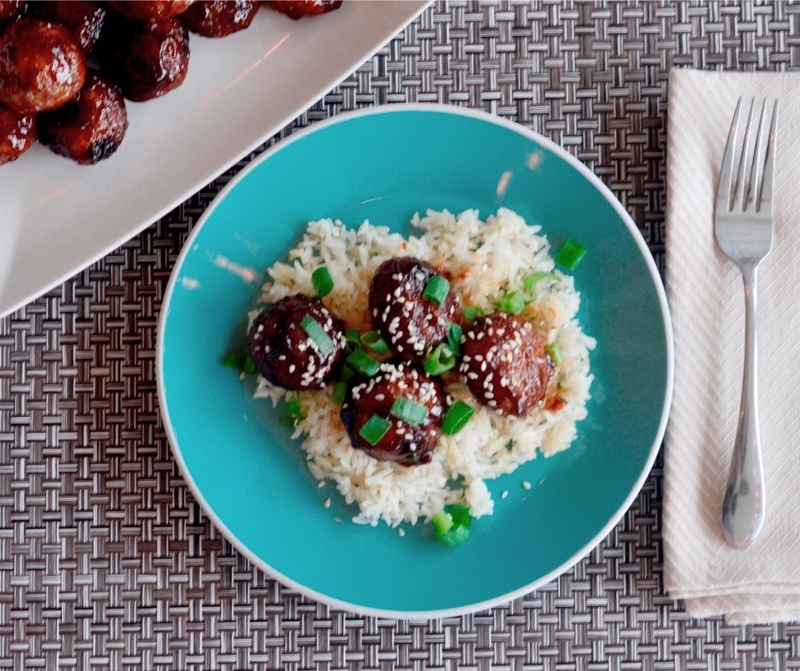 When it's been a busy day, but you still need a delicious meal on the table, these Asian Glazed Meatballs are your ticket. 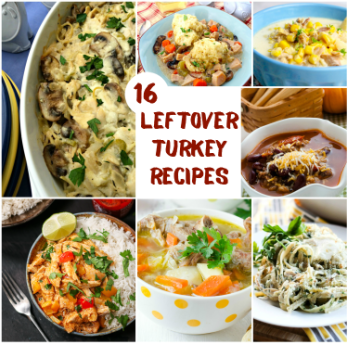 They're quick, easy, and amazingly flavorful! In a large saucepan over medium heat, combine the hoison sauce, rice vinegar, brown sugar, garlic powder, Sriracha, and ground ginger. Add the meatballs to the sauce and coat well. Place a lid over the pan and let cook for about 15 minutes. Be sure to move the meatballs around about halfway through. Make sure all meatballs are well coated with the sauce. Top with diced green onions and/or sesame seeds, and serve over white rice. If using fresh meatballs, the only variation you need to make is to fully cook the meatballs before placing them in the sauce. There is also no need to cook the meatballs in the sauce. Just bake the meatballs, combine the sauce ingredients in a large saucepan over medium heat, add the fully cooked meatballs to the sauce, coat well, and enjoy immediately. 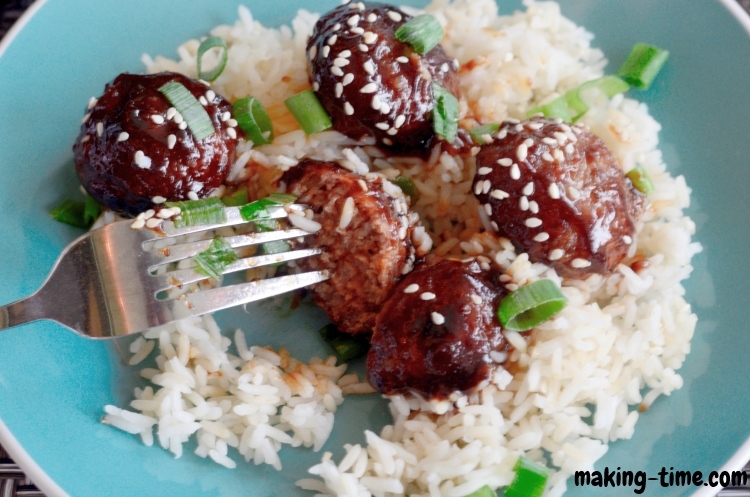 Have you tried these Asian Glazed Meatballs? I’d love to hear what your taste buds think! 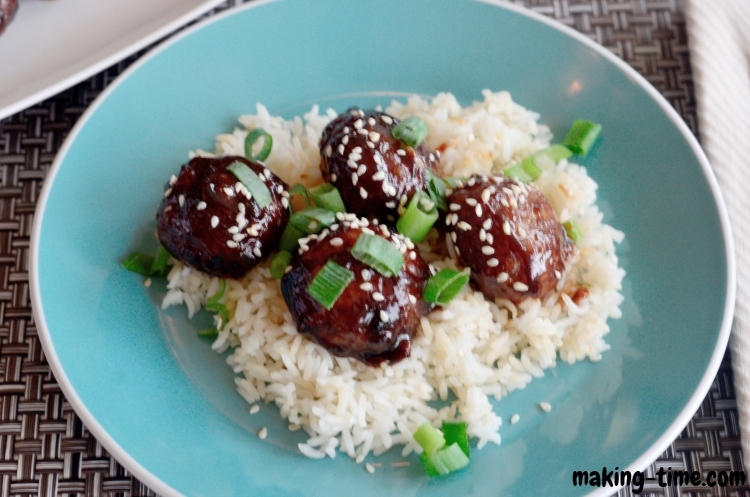 Meatballs are one of my favorite foods and I love Asian flavors. So, I’d love these.